I don’t mean to brag or anything, but these Orange Spice Cookies are Ludo-approved. The chef and I were both guests at a wonderful oyster tasting party last weekend where I brought these lovelies for dessert. 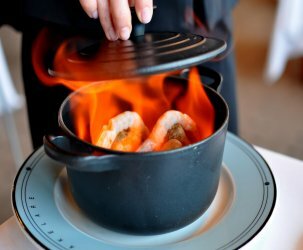 Since I’m usually the one dolling out criticism [See: LudoBites 2.0, LudoBites 3.0], I thought it was only fair to offer Chef Ludo the chance to scrutinize my humble creations. “They’re not too bad,” he declared after a couple of hearty bites. “They’re good,” he added as he polished off the final chunk. Granted, his praise wasn’t glowing, but coming from the man who invented the black croque monsieur with ham, foie gras, and cherry amaretto jam, it pleased me to no end. “Ludo likes my cookie!” I yapped to anyone who would listen for the rest of the evening. 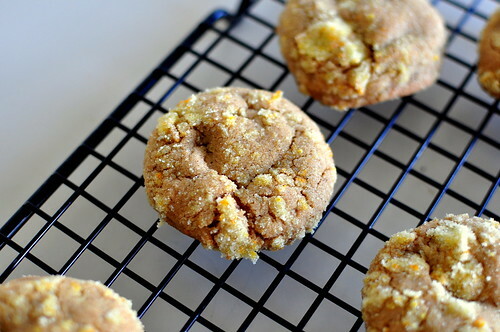 What makes these Orange Spice Cookies really fantastic is their crinkly and sugary exterior. The cookie’s ever-so-light crust gives way to innards that are delicate, moist, and packed with an array of warm spices. I prepared this recipe once by hand and another time with the help of a stand mixer. While using a stand mixer was easier on the muscles, I preferred the texture achieved with the handmade version. 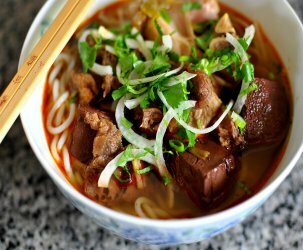 Grease up those elbows, the results are worth it. Adjust an oven rack to the middle position and heat the oven to 375 degrees. 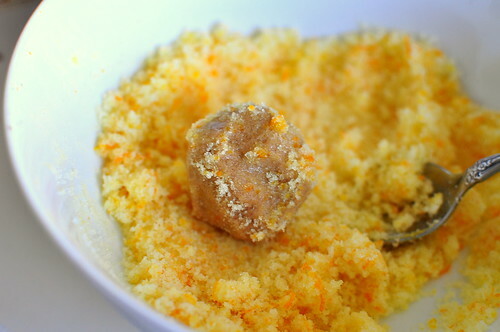 Mix together 1/2 cup of sugar plus 2 teaspoons grated orange zest in a shallow bowl for coating and set aside. 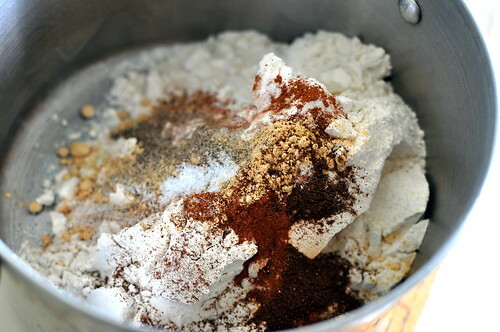 Whisk the flour, baking soda, spices, pepper, and salt together in a large bowl and set aside. Beat the butter, brown sugar, and remaining 1/3 cup granulated sugar together in a large bowl using an electric mixer on medium speed until light and fluffy, 3 to 6 minutes. Beat in the egg yolk and vanilla until combined, about 30 seconds. Beat in the molasses and maple syrup until incorporated, about 30 seconds, scraping down the bowl and beaters as needed. Reduce the mixer speed to low and slowly mix in the flour mixture until combined, about 30 seconds (the dough will be soft). 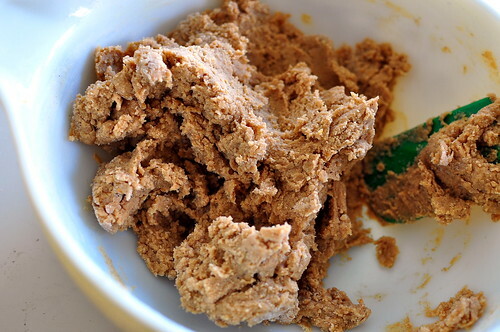 Give the dough a final stir with a rubber spatula to make sure it is combined. 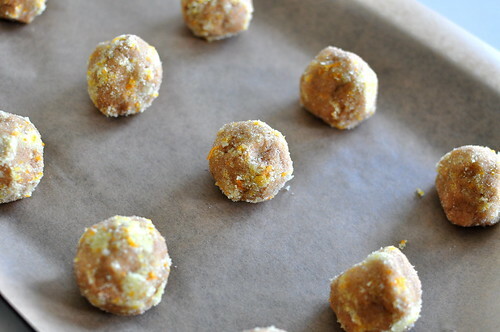 Using wet hands, roll 2 tablespoons of dough at a time into balls, then roll in the sugar and zest mixture to coat and lay on two parchment-lined baking sheets, spaced about 2 inches apart. Bake the cookies, one sheet at a time, until the edges are set and the tops are cracked but the centers are still soft and underdone (peek through the cracks to check the centers), 10 to 12 minutes, rotating the baking sheet halfway through baking. Let the cookies cool on the baking sheet for 10 minutes, then serve warm or transfer to wire rack and let cool completely. mmmm. I must try this, though it looks like much more effort is involved than just making run-of-the-mill chocolate chip cookies…but I suppose that is why they are just run-of-the-mill. 🙂 Nice work. I would be super excited too! That’s pretty awesome that he tasted your cookies. I thought you were gonna bring me these! It wood’ve given a highlight to our meal. I admit I’m probably more critical than a chef. for a Frenchman,”good” can be high praise indeed! Go elbow grease! These look lovely. I like the way these look so rustic. 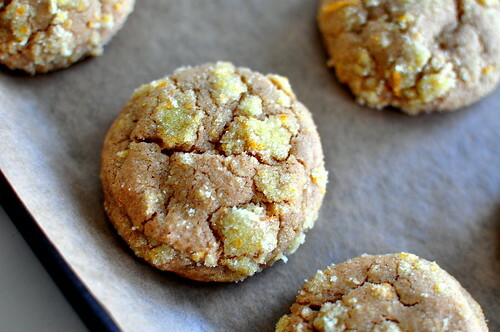 These kind of remind me of Joan’s on Third’s ginger cookies — except with orange! This is a good thing. Joan’s does no wrong. 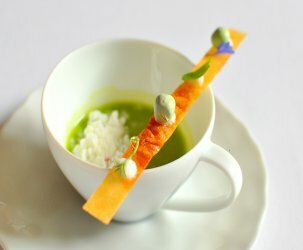 I will have to make this recipe as soon as Lent gets underway! haha you’re too cute! is it easier to try and convince you to make these for eat my blog or just go make them myself? Huh, not into cookies (except for choc chip of course!) but these look damn tasty. I think it’s the spice. You need to make them for another bake sale. These cookies are absolutely fantastic!! Perfectly delicious, and the texture is exactly how you described, crispy on the outside and soft on the inside. Thanks a bundle!! I added more orange zest to the batter b/c I really love citrus flavor. They turned out great! I had to eat one while it was warm and the soft inside it a delight! Thanks for sharing this recipe. I made these last year and they were DELICIOUS! I made them again last night and again today, but both times the batter came out way to wet and they melted all over the baking sheet 🙁 What could be the problem…more flour needed?